Are you thinking about moving to the Sunshine State? There are many wonderful reasons to recommend Florida to people from a variety of backgrounds. If you're thinking about making Florida your new home, now is an amazing time to move right in. If you're interested in making the move to Florida, there are several key things to consider before you get started with your move. The unemployment rate in Florida is currently sitting at around 3.9% (as of August, 2018)--a rate lower than much of the rest of the country, since the national average is 4.1%. Unfortunately, Florida does struggle to provide appropriately high-paying jobs for individuals who are looking to make it big in the state. Your best bet, if you're looking for a location with high-paying jobs in Florida, is to look for a metro hub that offers plenty of employment opportunity in your chosen field. Tampa, for example, is an excellent location for the those in the medical profession, while Naples offers a rich array of opportunities for potential veterinarians. The Florida Department of Education has, in recent years, undergone some big changes. There has been substantial effort to raise grades, graduation rates, and standardized test scores while providing students with the opportunity to go as far as their dreams will take them. Florida rates second in the nation for graduation from a two-year institution and eighth for graduation from a four-year college. Unfortunately, it's scores for K-12 education are a bit lower: Florida rates 40th in the nation for K-12 education and 43rd for high school graduation rates. Florida has a rich public transportation system, especially in its busier metro and tourist areas. Trains, buses, and shuttle services also offer plenty of opportunities for people to get around, regardless of whether or not they're interested in driving themselves. Florida's roads are designed to be easy to travel, with both toll and toll-free roads available in many areas. In Florida, there are plenty of options to choose from. Do you want to live on the Gulf Coast, Atlantic Coast, or inland? Do you prefer an urban or rural community? There are amazing community options throughout Florida for any lifestyle, making it easy for people who are looking for a specific type of lifestyle to make Florida their home. From the islands to city life, the country to the suburbs, Florida has incredible communities that are open to anyone. There are even age-specific communities where Florida residents can easily make their homes. Florida's real estate market is booming, with property sales increasing and home prices rising on a regular basis. Lend Smart Mortgage has many resources and experts who can help Florida home buyer’s secure a loan at a rate you are comfortable with. Florida offers both online and face-to-face services for its home buyers, which means there are plenty of loan options available. Florida's coastal areas do bring with them a unique challenge: the need for flood insurance. If you're in a coastal area of Florida, it's important to consider the added expense that flood insurance will bring to your budget each year. While not everyone in Florida is required to have flood insurance, it may be important to you to have it if you live in an area that is impacted by hurricanes and heavy rain. You're considering making the move to Florida--but before you take that large step south, you should know what you’re looking forward to. Take a look at some of the best reasons to live in the Sunshine State! For many people, living in Florida is a dream come true. South Florida, in particular, is considered to be a tropical climate: hot, humid summers and mild winters. The heat is tempered best when late evening thunderstorms roll through the area, dropping the heat by as much as 10-15 degrees. In the winter, average temperatures in the 60's keep Florida residents comfortable and warm. Swimming on Christmas? It's not as far out of the equation as you might think! While humidity is high and hurricanes are always a possibility, there's one key thing that stands out for many of Florida's residents: there's no need to shovel snow! If you're looking for a bustling state where there's always plenty to do, a move to Florida is a great choice! Florida has some amazing professional sports teams, with regular games throughout the season that are sure to interest you. Golf is possible year round, and the theme parks are a potent attraction for many of Florida's residents and visitors alike. Outdoor recreation is one of the biggest draws of the area. Florida residents get to enjoy MLB spring training every year, where pro teams from major cities come to practice before their upcoming seasons. There are plenty of state parks to explore, beaches within a short drive, and cruise ports at the coast. Not only that, many of the activities in Florida provide accommodations for elderly or handicapped individuals, so there's plenty of fun that the entire family can get in on. There's also an amazing craft beer scene to attract individuals who prefer indoor activities, a culturally diverse community to celebrate the many unique attractions, and plenty to do all year long. Spring training is even more exciting when you do it in the Sunshine State, where relatively flat ground makes it easy to head out for a run. The cost of living in Florida is relatively low. In spite of the wide range of tourist activities and communities in many areas of Florida, it's not an expensive state to live in. There's no state income tax, which also helps to make things more affordable for residents. It's important to have realistic expectations of the area that you're planning to move into. What are your priorities? 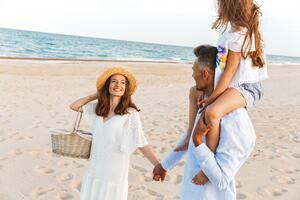 What's important to you when you make a big move with your family? 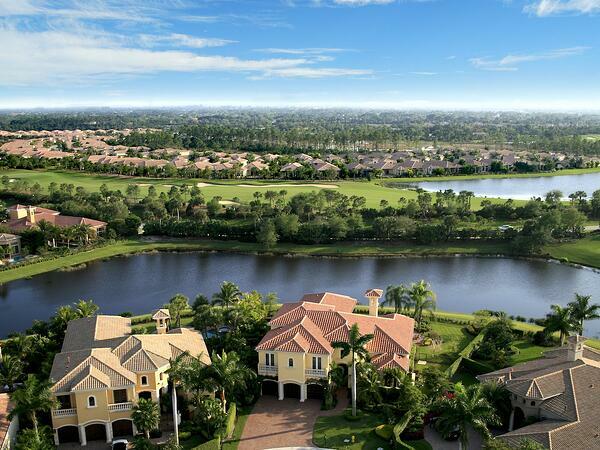 Carefully consider these benefits to moving into a community in Florida. Homestead exemption: Tax-saving exemptions can help reduce your tax burden in the state of Florida. Investment properties: Tourism is high throughout most of Florida, which means that you can easily purchase an investment property that will attract tourists and bring in additional income. Growing population: Florida's population is growing steadily, which is key for resale on your home. Fast-developing state: Florida is one of the fastest home developing states, with new developments going up on a regular basis. As a result, it's easy to jump on the housing market. Your lifestyle: There are a wide range of lifestyle choices available in Florida, especially if you're willing to pay for those benefits. Live in a city, live on the water, or explore a community that works for you: there are choices that will appeal to almost anyone. Needed permits for home renovations: In order to renovate in Florida, you may have to take out extensive permits, which can make it difficult for you to make changes to your home. Flood insurance: Many areas in Florida require flood insurance, which can be a pricey addition to your budget. 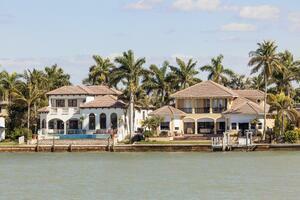 Real estate restrictions: Because Florida is a growing area, homes grow quickly! You may have to act fast to secure your preferred home. Need for air conditioning: You won't be able to live in Florida without air conditioning, which can lead to some pricey bills. HOA fees: While HOAs can provide a number of benefits, the expense is an item to consider carefully. Housing Materials: Do you want a home made of stucco, block, or wood frame? Keep in mind that a wood frame can open the door to termites and other potential problems. Cookie Cutter Homes: There's often little variation across communities, which can reduce the excitement of purchasing a Florida home for some residents. No Basements: Florida homes typically don't have basements, which can be a serious problem when it comes time to find storage for all of your possessions. Make sure to take this into consideration as you're choosing your home size. Pools: Pools are one of the best features of many Florida homes. Do you want a private home pool or access to a community pool? Pool screens, or what Floridians call Lanais, can help keep your pool private if you prefer to stay close to home. Types of Communities: Florida has a wide range of communities to choose from. There are age-restricted communities designed for elderly individuals, deed restricted communities, golf course communities, gated communities, retirement communities, and more. In some communities, maintenance is taken care of by the HOA. Carefully consider what type of community will meet your needs. Florida's housing market is heating up fast. It tends to be very cyclical in general; however, there's always something going on in Florida! While new construction is going up everywhere, working with builders on new builds can be rough. Homes are selling fast: it's a seller's market, and prices are only continuing to increase! Home inspections in Florida are different and often more complex than other states. Purchase agreements may look different. Gated communities have a number of fees attached to living there, which is something to seriously think through before buying. Title issues are common in many areas of Florida. Flood insurance requirements are important to think through before making your purchase. Real estate is a very common profession throughout Florida. You need a real estate agent who is ready to work with you! If you need a real estate agent in Florida, work with Lend Smart Mortgage. We have a network of real estate agents specific to a number of different areas, which means you'll get professional expertise and commitment from an agent who genuinely knows the area. As a Florida mortgage broker and lender, Lend Smart is committed to helping you through the home loan process and landing you your dream home. Ready to get started? Contact us today to learn more about getting started with the loan process.